What's The Most Obscure Car You've Seen In The Wild? The joy of carspotting—whether it’s in New York or Hong Kong or the rural Deep South—is stumbling onto something that seemingly has no place among the automotive masses, the endless sea of Nissan Rogues and Chevrolet Suburbans. It is a universal delight for car enthusiasts. So what’s the weirdest thing you’ve ever seen in the wild? 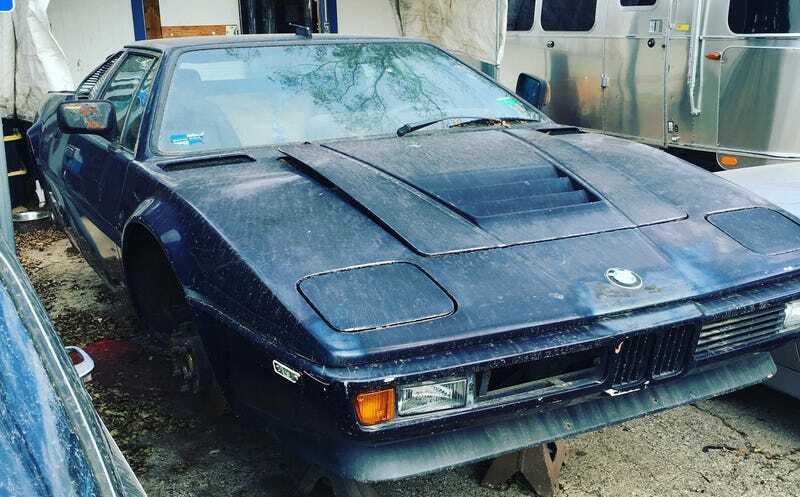 I’m not sure I’d call this the “wild,” and given its current state I’m using the term “car” rather loosely, but Terry Sayther Automotive—the nice folks from whom I buy BMW parts sometimes—have the shell of a BMW M1 on their premises. Or at least they have lately. The M1, if you don’t know, was a limited run mid-engined supercar from the late 1970s and early 1980s. BMW only ever made about 450 of them. I’ve seen a handful myself, but almost exclusively at things like the Monterey Motorsports Reunion—the kind of place where you’d expect to see such a car, and in racing form as well. I was not expecting to see the shell of one at a shop in South Austin, even if Terry Sayther is an extremely well-regarded BMW shop. A 2002, an E9, even an E28 M5? All are to be expected there, within reason; but the carcass of an M1 seemed unspeakably rare. It may be someone’s project. I’m not sure. I don’t know what this M1's story is or why it’s there, but when I get a little more free time one of these days I want to figure it out. Tell us about the weirdest thing you’ve encountered.